We are now offering instructional videos on how to make your own items. Party Professional who wants to add to their skills. I will send you a direct link for online viewing and the ability to download the videos. We will also put you on our list for free updates and will help you along with any projects you are working on. Here are some of the topics covered in each video. 1. We share what we use for bases and where we get the material. 2. We share how to make a hole in the base for elevated centerpiece poles and how to prevent wobbly poles. 3. We share what variety of materials you can use to cover the bases. 4. We share where to get mylar. 5. We show in detail how to make beautiful mylar poufs or use tissue or ribbons poufs instead. 6. We give tips for using an inexpensive pole to elevate your centerpieces and where to get them. 7. We tell you what to fill the poles with and how to do easily and where to get the material. 8. We show in detail how to make a sprocket to keep your pole secure and straight. 9. We show to attach themed foamcore props to the top of the pole. 10. We suggest our favorite way to make computer prints economically. 1. What tools we use to cut foamcore. ​ 2. 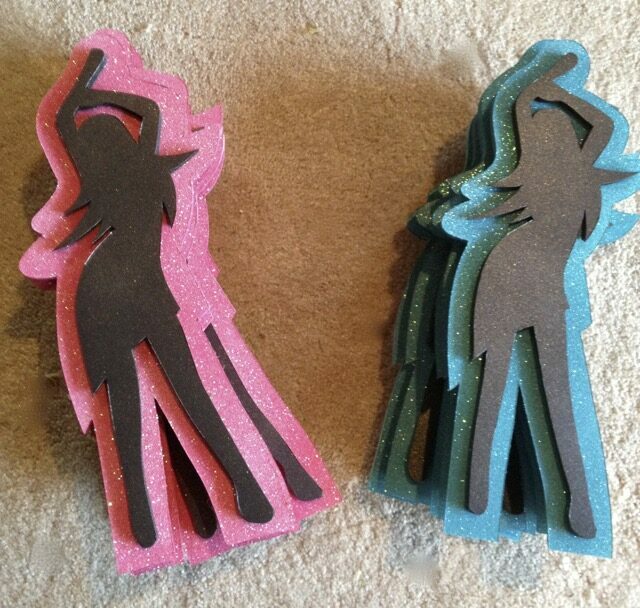 How to prevent choppy and rough edges when cutting foamcore. 3. Best position for your knife when cutting thru foamcore to get even edges. 4. How to cut perfect circles. 5. How to clean up rough edges when they do occur. 6. How to cut perfect stars. 7. How to cut clean and crisp letters. 8. How to make corner edges, rabbit edges, v-grooves and rounded edges. 9. 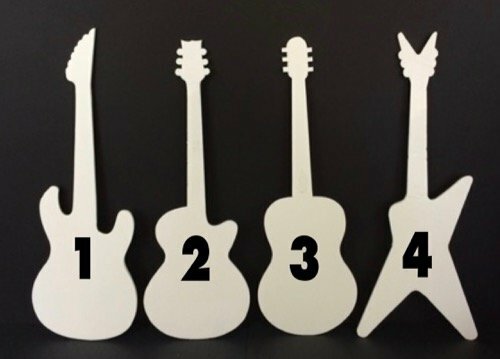 Secret tips for bending foamcore and how to get concave, convex or curved edges. 10. The difference between white and black foamcore. 11. Tips for painting foamcore and what paints to avoid and which ones to use. 12. How to get a perfect and smooth glossy painted surface. 13. 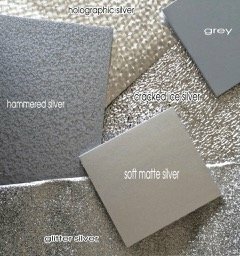 How to glitter foamcore to get the best look and avoid mistakes. straight and a perfect octagon. 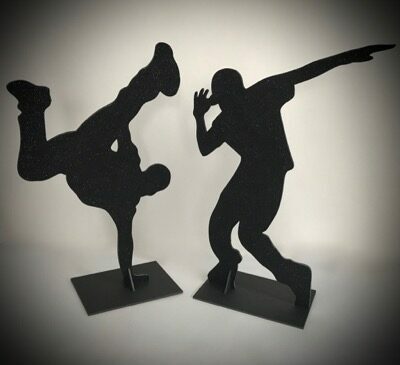 party centerpiece base that will enhance anything you place on top of it. The ideas are endless for these fun bases! 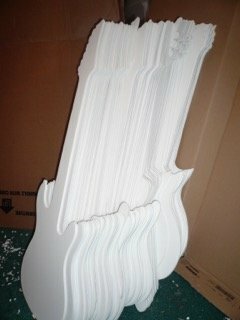 If you need us to ship you foamcore pieces to help you along, we can do that also. 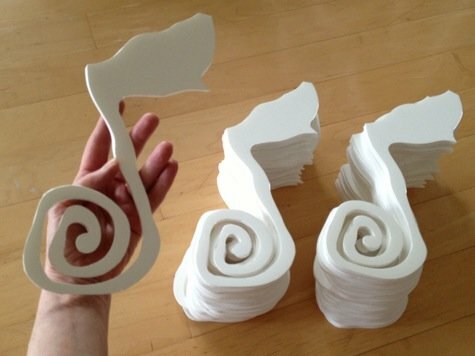 We can cut out as many as you need in many different sizes. 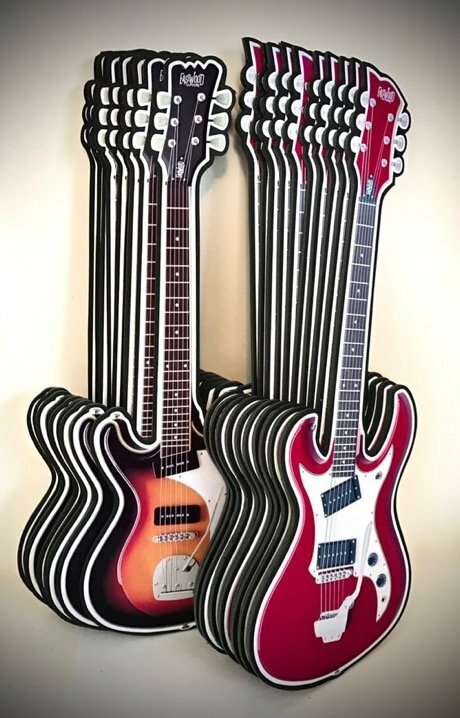 We can cut out 21" or 36" (or larger) foamcore guitars for your rock themed party. 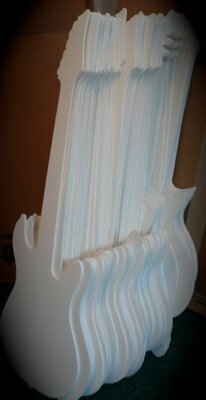 We can send unfinished or multiple finished items like these foamcore guitars for you to use in your own centerpiece designs. 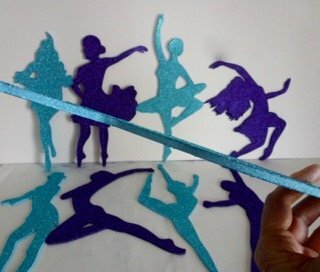 We can cutout shapes for you to finish in spray paints or glitter. Maybe dance is your theme? 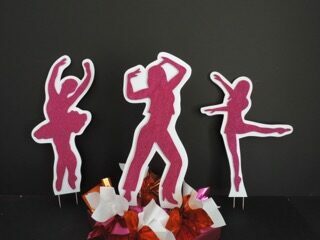 We can cut out single or multi layered dancers. 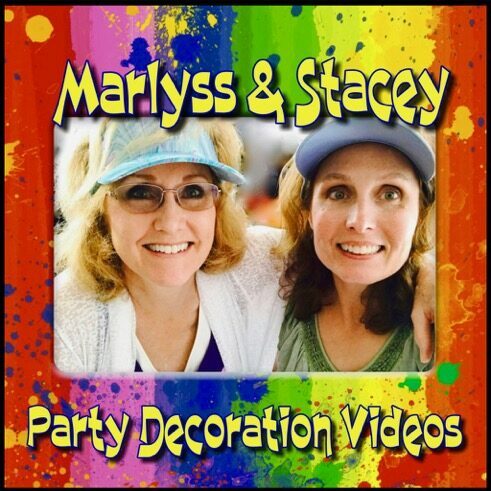 We can help out at any level you are at in your party decorating journey. If your ideas are big but your budget is tight or you have limited skills, then the videos might be just right for you. 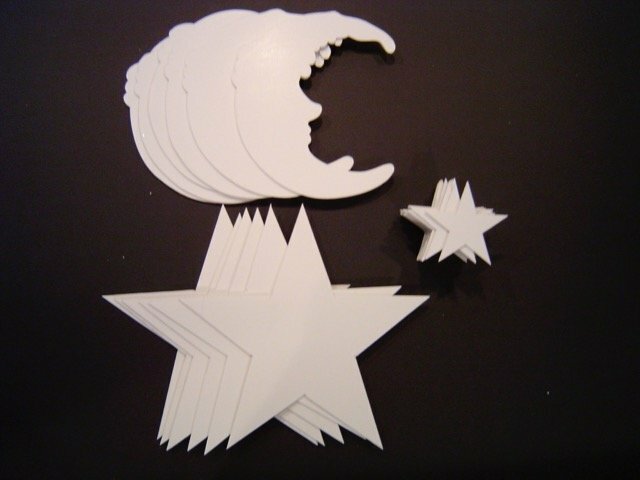 If you need some themed cutout pieces, we can ship them directly to you anywhere in the USA.